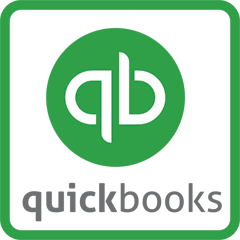 In the QuickBooks Online for Beginners Class, you will learn how QuickBooks Online is an effective way for you to get started with the Intuit QuickBooks software and manage your business from anywhere. Using this software as a service, QuickBooks Online is a cost effective, convenient version of the program that has become an industry leader for many reasons. Over three sessions for this class, you will cover what QuickBooks Online can do for your business to help manage your small business accounting more effectively. You will learn how to back up your system, navigate through the program, and a brief overview of setting up a sample company. In the QuickBooks Online for Beginners Class, you will work closely with your instructor in a small classroom environment. Your instructor, a QuickBooks expert, will use a sample company file to help you setup all the necessary components of a QuickBooks file from the ground up while providing real world scenarios and best practices to follow. If you are new to QuickBooks Online Version and looking for hands-on training, this is the right class for you! **Please note: This class is specifically for QuickBooks Online software. DWC also offers a separate QuickBooks Desktop class. Introduction to Computers or equivalent knowledge. Some experience with accounting vocabulary is helpful but not required. We recommend that you have QuickBooks Online software installed on your home or work computer.